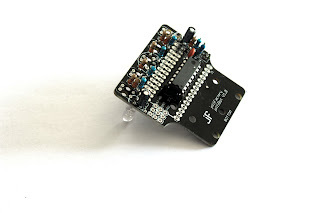 This is jolliBot, an Arduino based desktop Line Follower DIY Kit designed by jolliFactory. 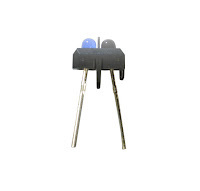 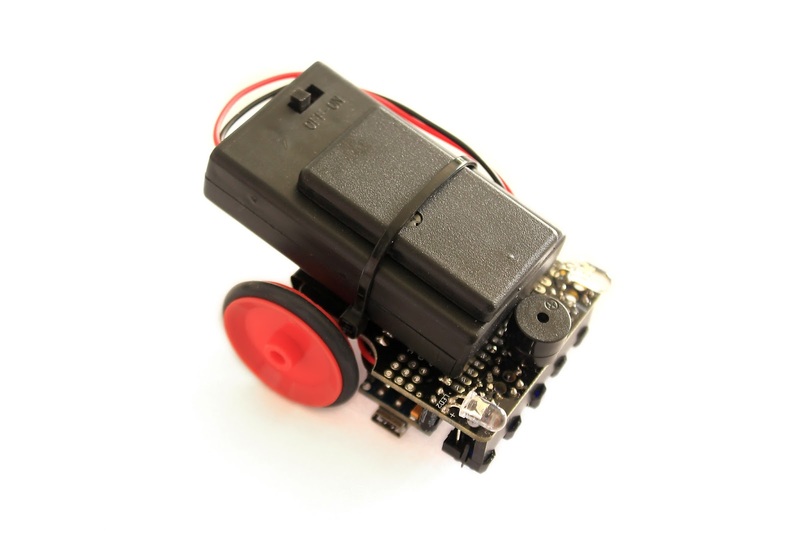 It is designed to be small and compact enough to navigate on moderately complex tracks occupying typical size table tops. It uses all through-hole electronics components so someone with basic soldering skill should be able to put it together. 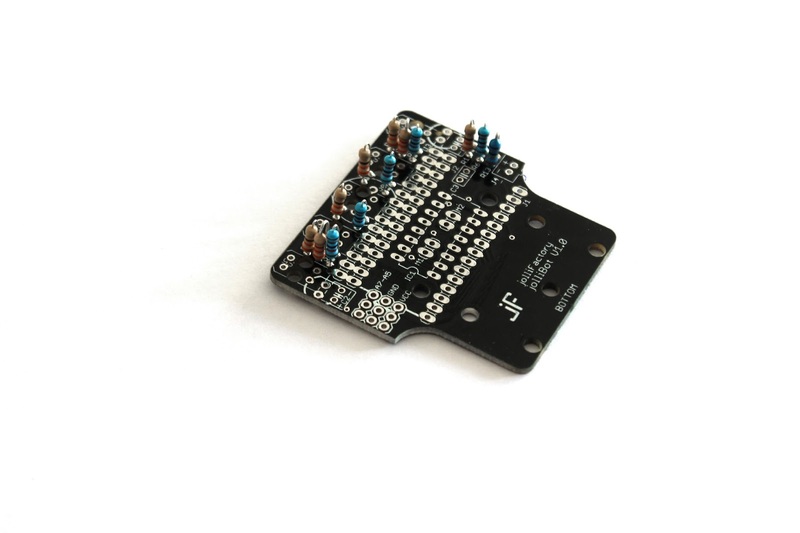 An Arduino Nano micro-controller is required (not included with the kit) to complete the kit which enables ease of programming of the Line Follower and can easily be swap out for use on other projects. 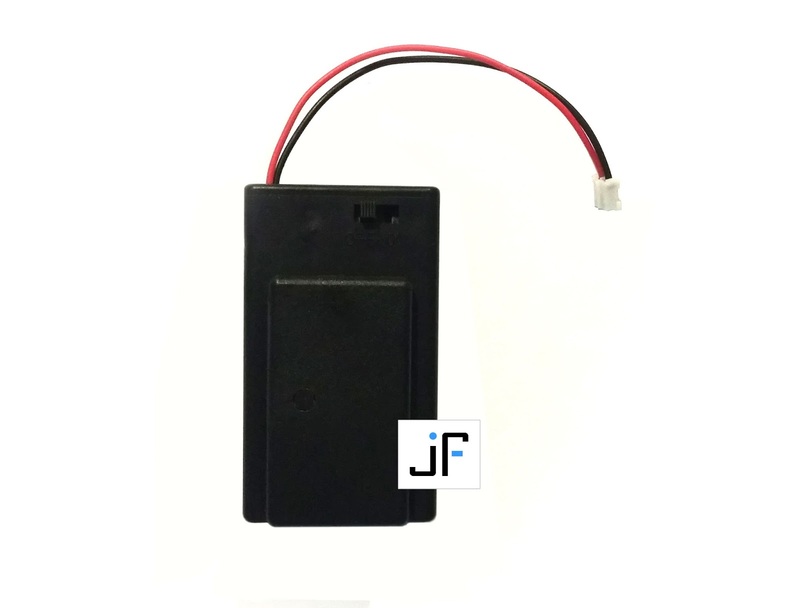 The kit comes with a Triple 'A' 5V DC Boost Power Pack which uses 3 x AAA batteries to supply a steady 5V DC power to drive the Line Follower. 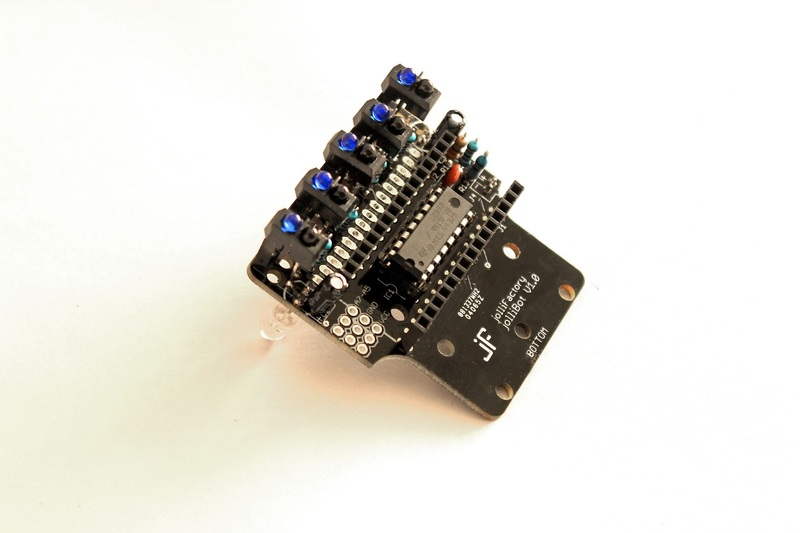 With all through-hole electronics components selected for this kit, only basic soldering skill is required to assemble it. 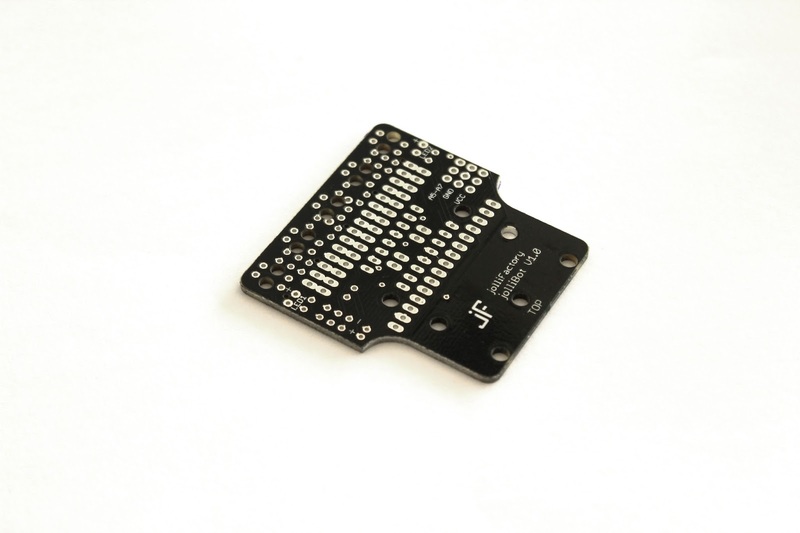 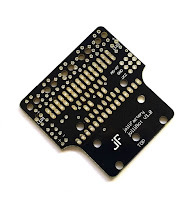 The silk-screen text on the PCB should be provide sufficient information for you to place and orientate the parts correctly before soldering them. 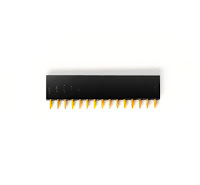 The assembly steps are outlined below. 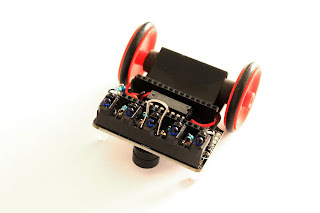 You may view the following YouTube video to aid you on the assembly of the kit. Caution: Identify the top and bottom of the PCB from the labels ‘TOP’ and ‘BOTTOM’ silk-screened on the PCB. Ensure you are on the correct side of PCB before proceeding to solder the components. 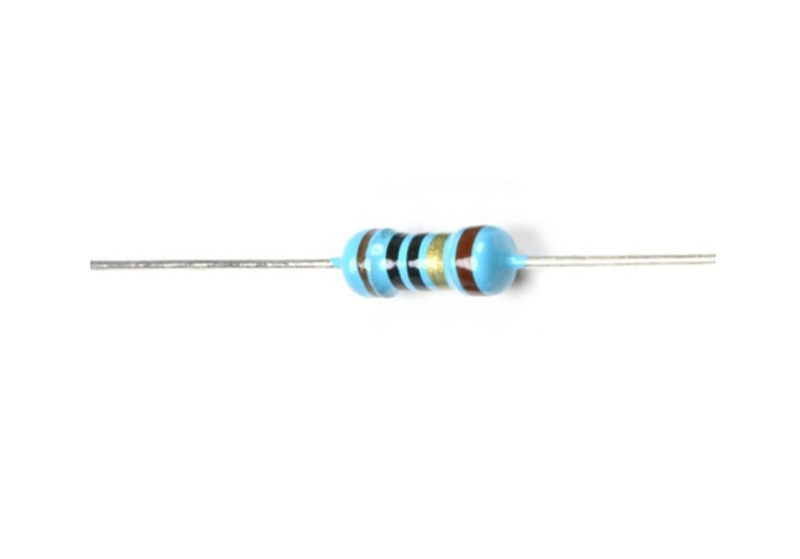 Step 1: Bend the five 330 ohms resistors and solder them upright to R1, R2, R3, R4 and R5 at BOTTOM of the PCB. 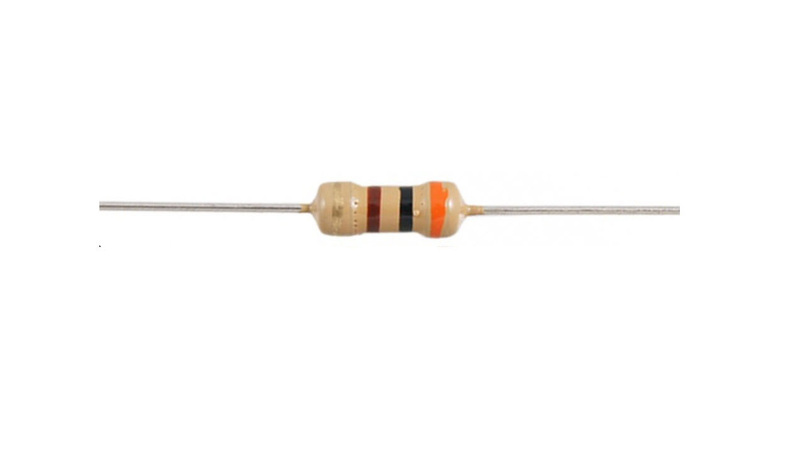 Step 2: Bend the two 3.3K ohms resistors and solder them upright to R11 and R12 at BOTTOM of the PCB. 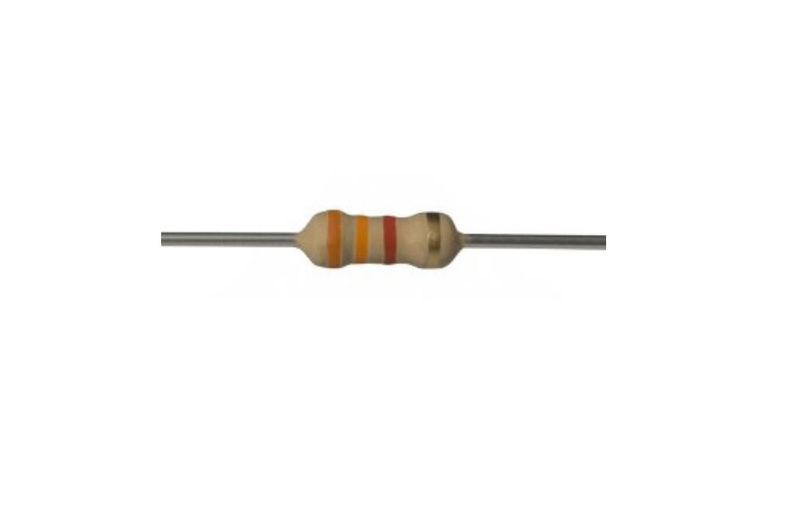 Step 3: Bend the five 12K ohms resistors and solder them upright to R6, R7, R8, R9 and R10 at BOTTOM of the PCB. 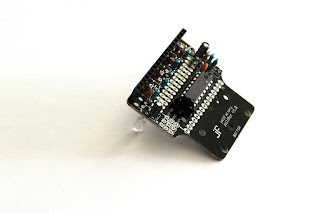 Step 4: Bend the 100 ohms resistor and solder it upright to R13 at BOTTOM of the PCB. 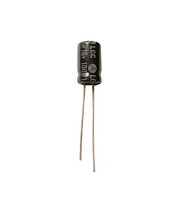 Step 5: Solder the 0.1uF capacitor to C3 at BOTTOM of the PCB. 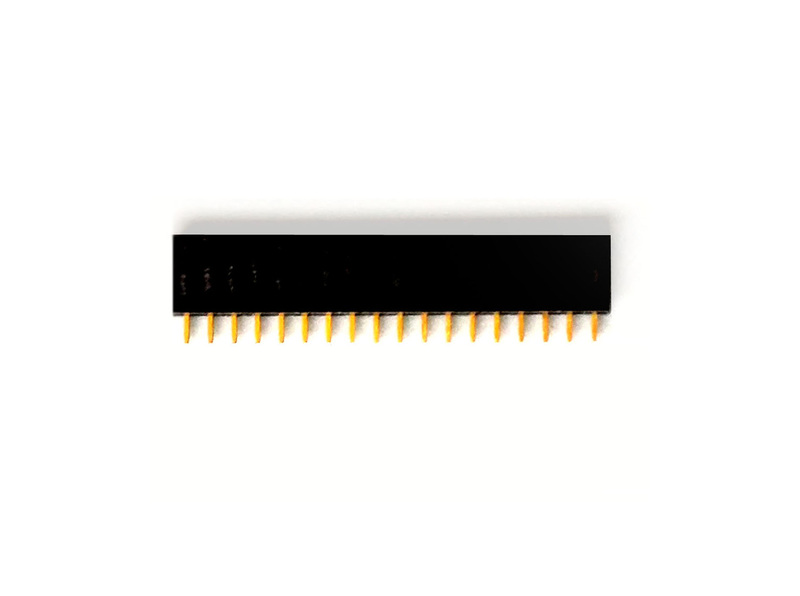 Step 6: Solder the 16 pins IC socket to IC1 at BOTTOM of the PCB. 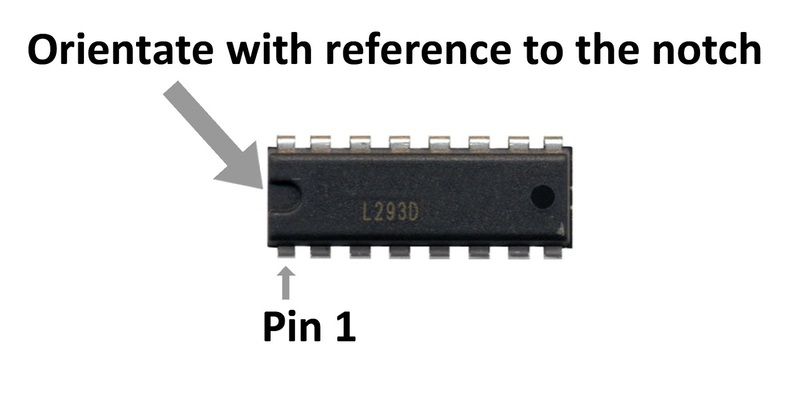 Ensure correct orientation. 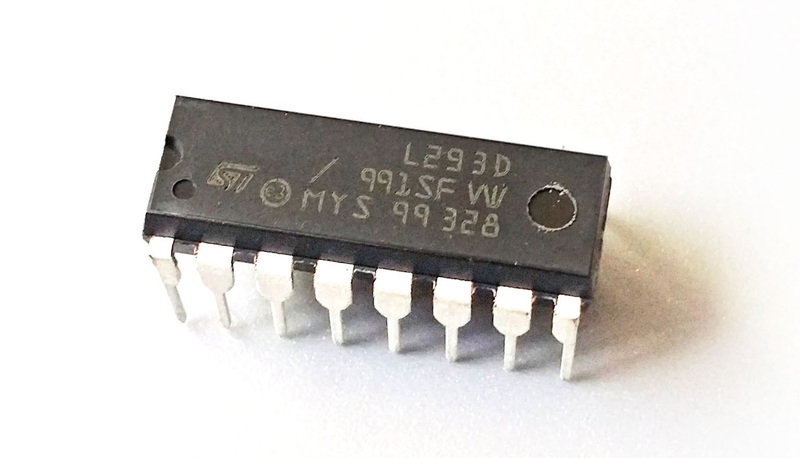 Step 7: Insert the L293D IC into IC1 socket. 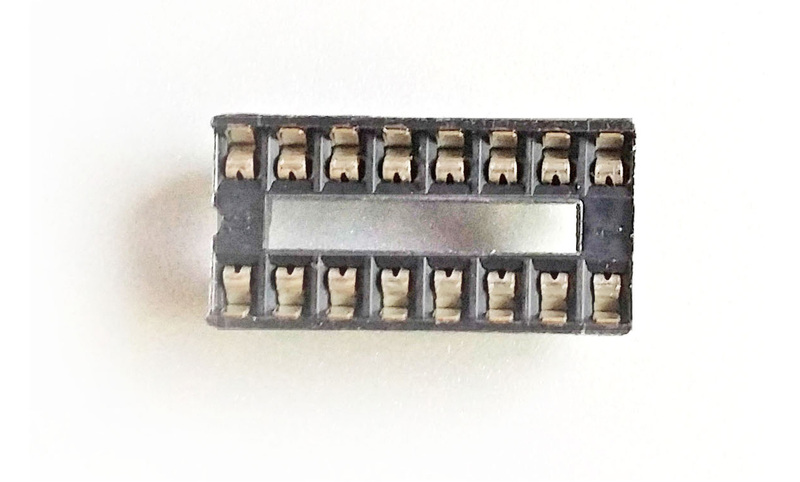 Ensure correct orientation. 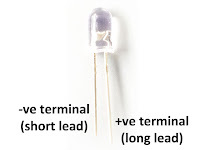 Step 8: Solder the two 5mm LEDs to LED1 and LED2 with the legs extending around 8mm above the top of PCB. 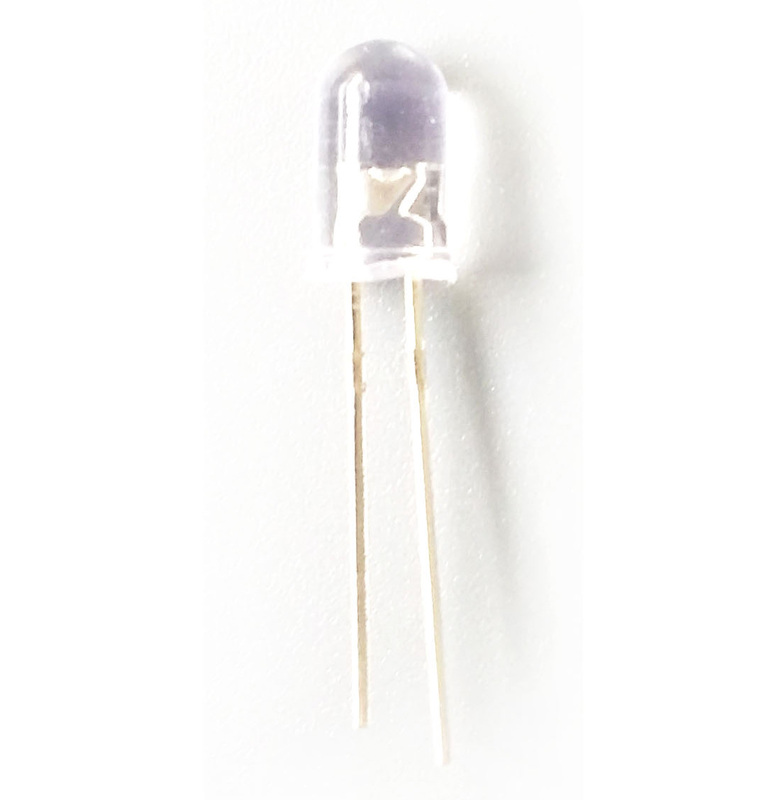 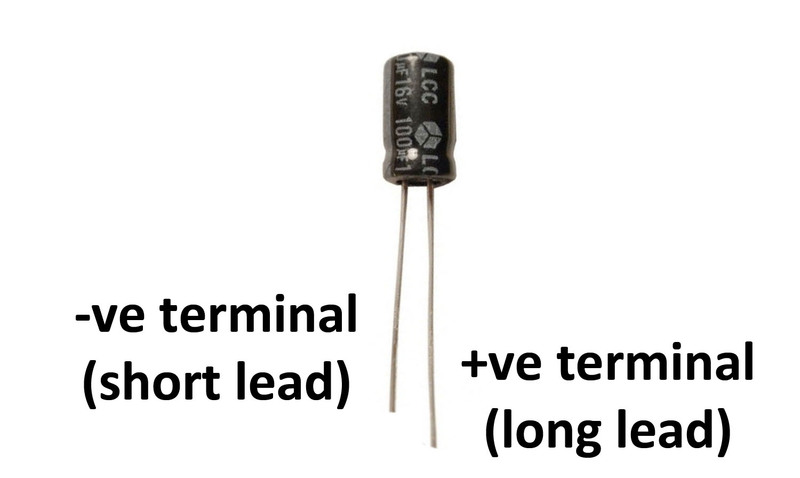 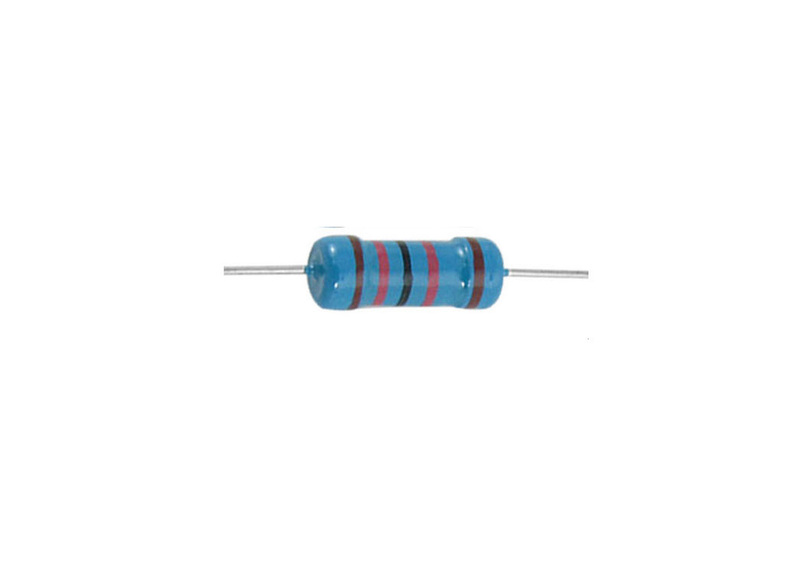 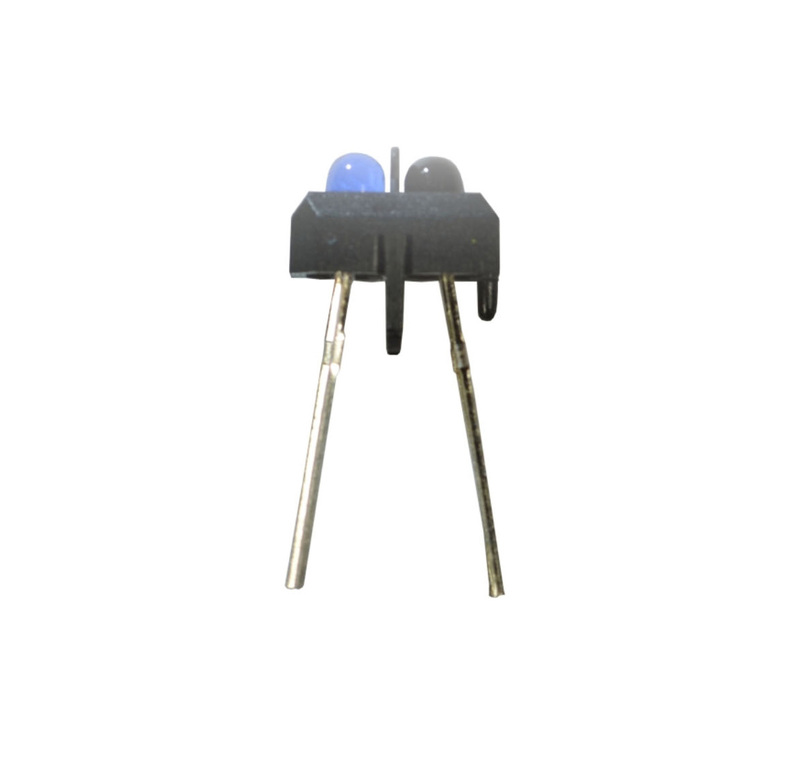 Ensure correct polarity with longer lead of LED soldered to ‘+’. The LEDs need not be bent towards the front at this stage. Step 9: Solder the battery socket to J4 at TOP of the PCB. Ensure correct orientation. 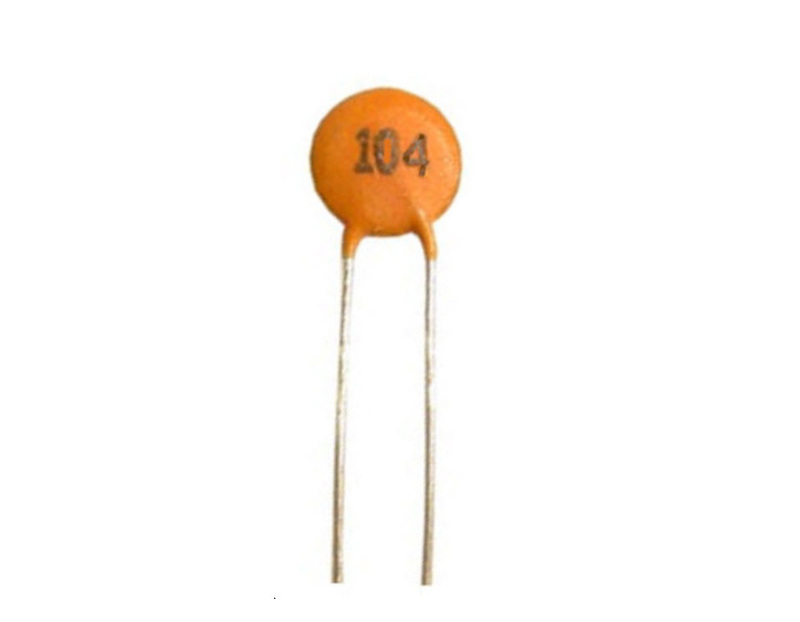 Step 10: Solder the two 100uF capacitors to C1 and C2 at BOTTOM of the PCB. 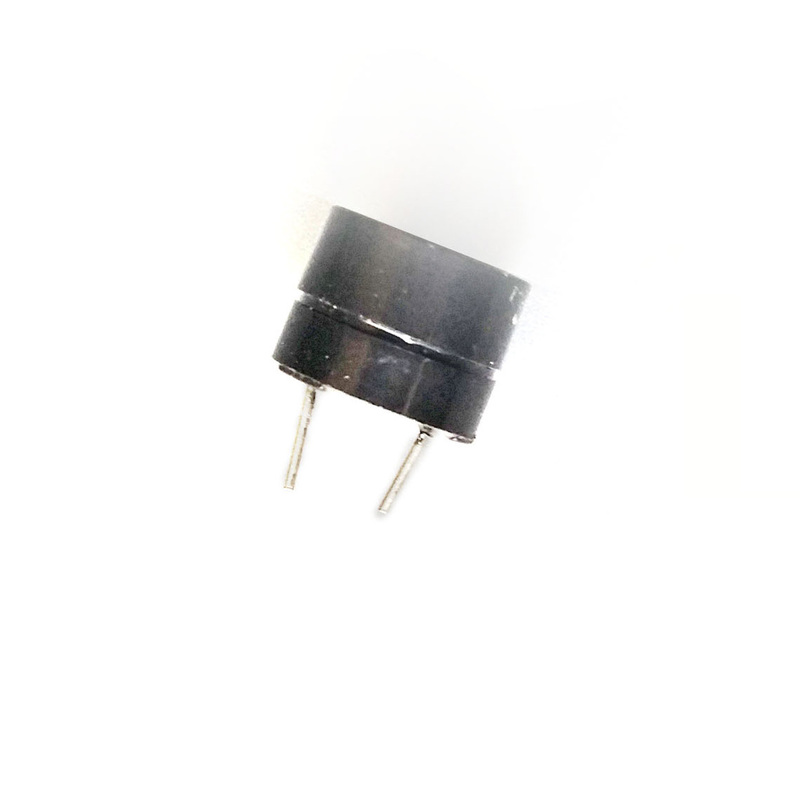 Ensure correct polarity. 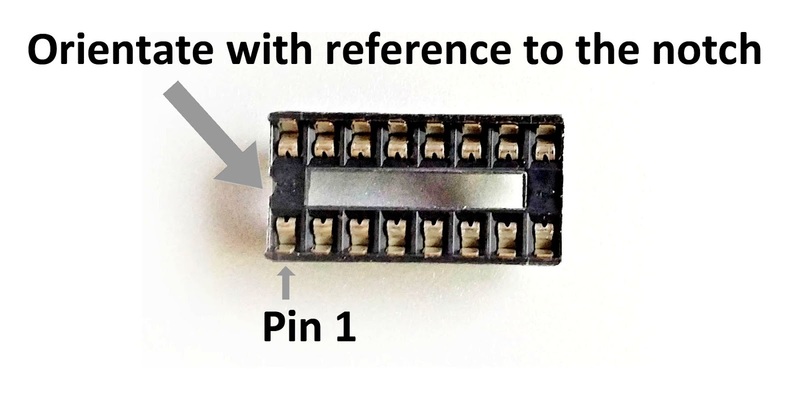 Step 11: Remove 8 of the pins from the 18 pins female header as shown in the figure below and then solder it across sensors S1 to S5 at BOTTOM of the PCB. 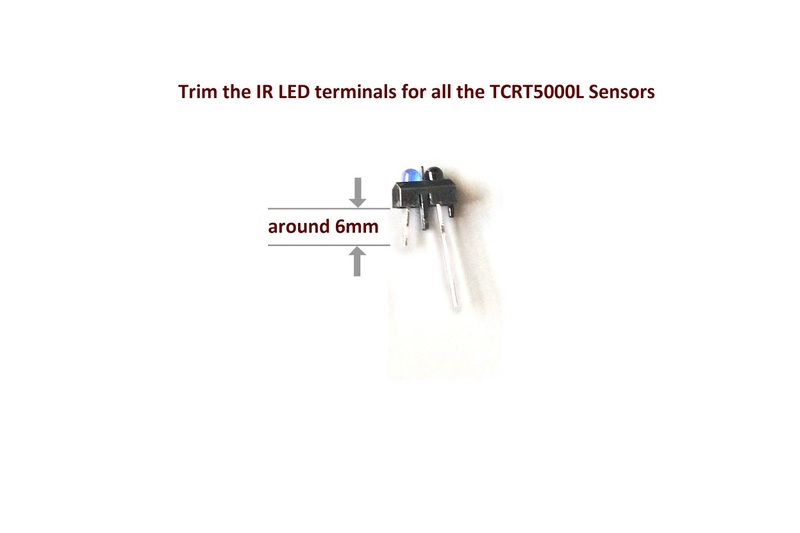 Step 12: Trim off both legs of the IR LED (blue lens) on the five TCRT5000 optical sensors to a length of around 6mm from the bottom of the black plastic housing. Insert the trimmed legs for each of the five TCRT5000 sensors into the 18 pin female header and solder the other 2 untrimmed legs to S1, S2, S3, S4 and S5 respectively on the PCB. Step 13: Insert the buzzer from TOP of the PCB and solder the buzzer terminals from below. Ensure correct polarity (The ‘+’ mark on the top of buzzer should be left). Note that this is the most challenging task due to space constraint to solder the buzzer terminals. 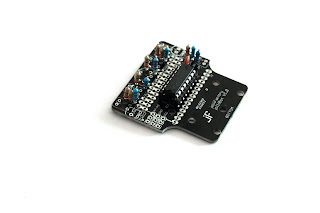 Step 14: Solder the two 15 pins female headers to J1 and J2 at BOTTOM of the PCB. You may insert in the Arduino Nano into the female headers before soldering to hold the headers in place during soldering. Step 15: Route the wires on the two wheel motors through the 2 holes near each end of IC1 and solder the motor wires to M1 and M2 on the top of the PCB. 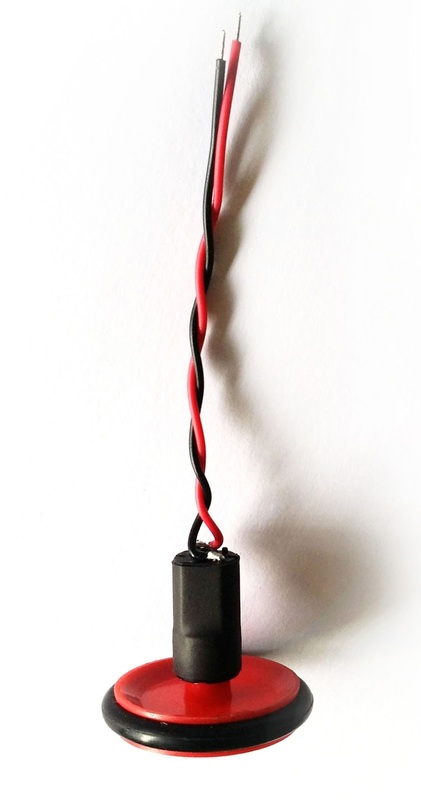 Ensure the black and red wire are soldered to the correct pins at M1 and M2 as shown in the figure. Step 16: Use the metal binder clip to clamp the two wheel motors. Adjust the motors so that they are clamped as much as possible but there must be good clearance between the wheels and the PCB. 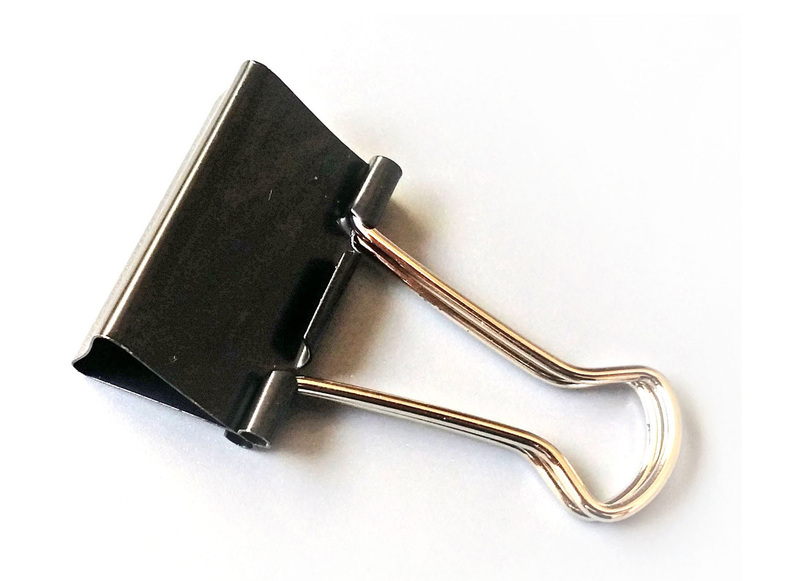 Remove both clip handles. 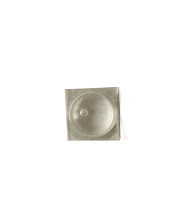 Step 17: Paste the Adhesive Clear Circular Bumper onto the metal binder as shown in the figure below. 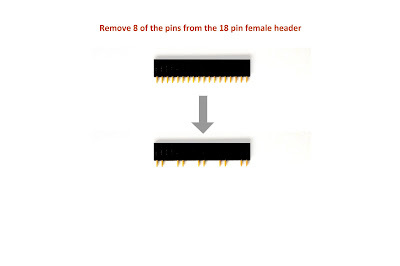 Step 18: Insert the Wire-formed Standoff into the 18 pin female header as shown in the figure below. Step 19: Insert the Arduino Nano into the headers at J1 and J2 on the PCB. 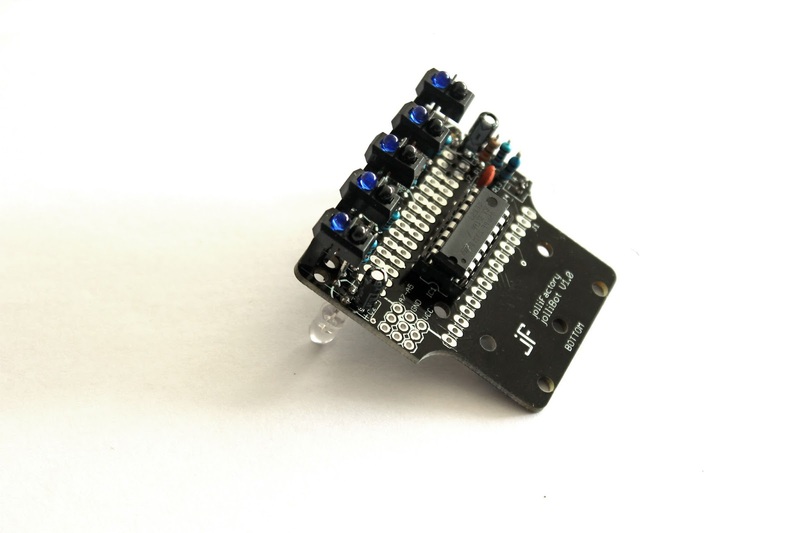 Ensure correct orientation. 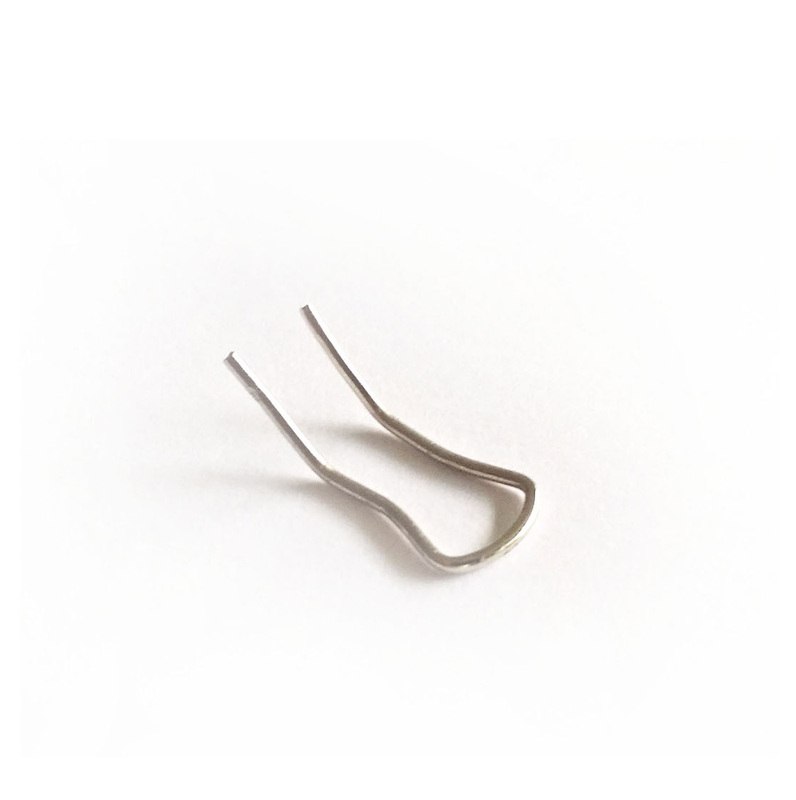 Step 20: Loop the cable tie through the slots on the metal binder clip as shown in the figure and make a loop such that the cable tie loop size is just sufficient to insert the Power Pack through. Step 21: Slide the 5V Battery Power Pack through the cable tie loop and trim off excess cable tie end. Plug the Power Pack connector into the J4 socket. 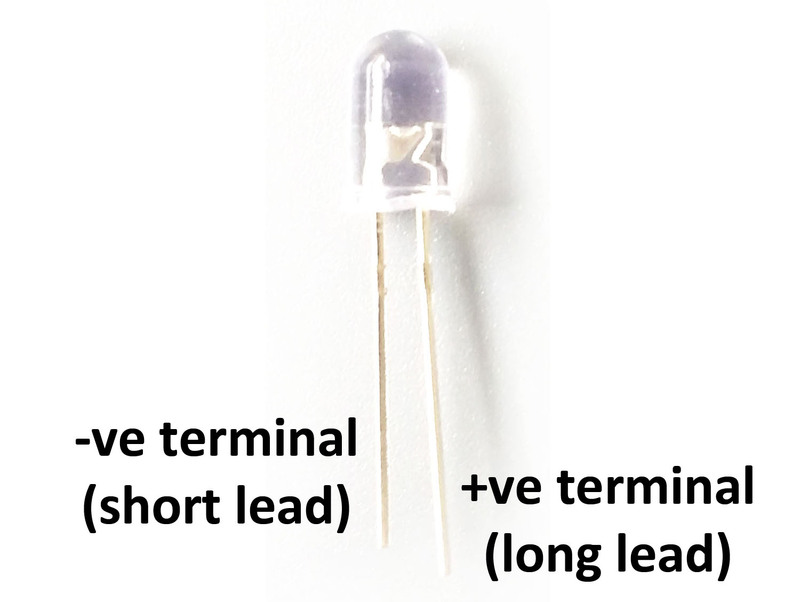 Step 22: Bend the 2 LEDs towards the front to complete the Line Follower. 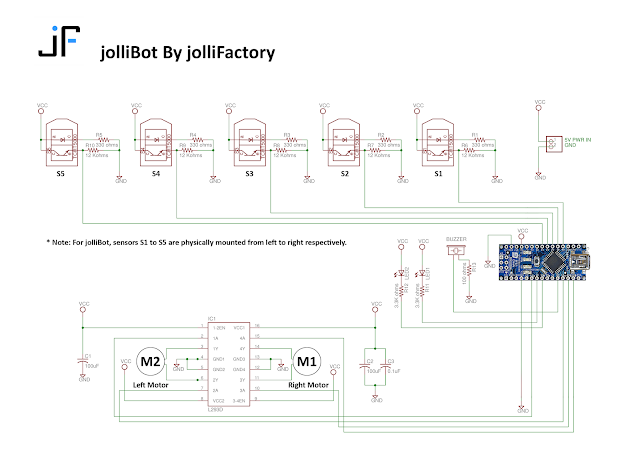 You may view the following YouTube video to see jolliBot in ACTION. Below shows the schematic diagram for jolliBot which hopefully will come in handy if there is a need to perform troubleshooting if the assembled kit does not function properly. 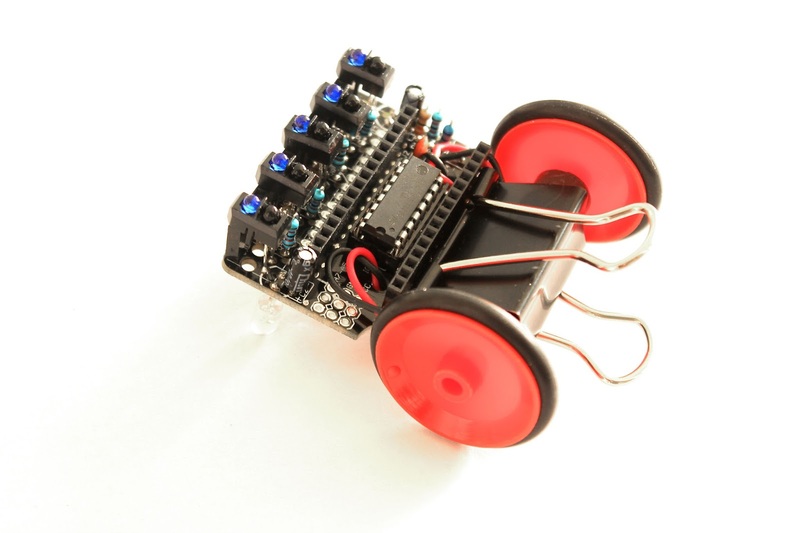 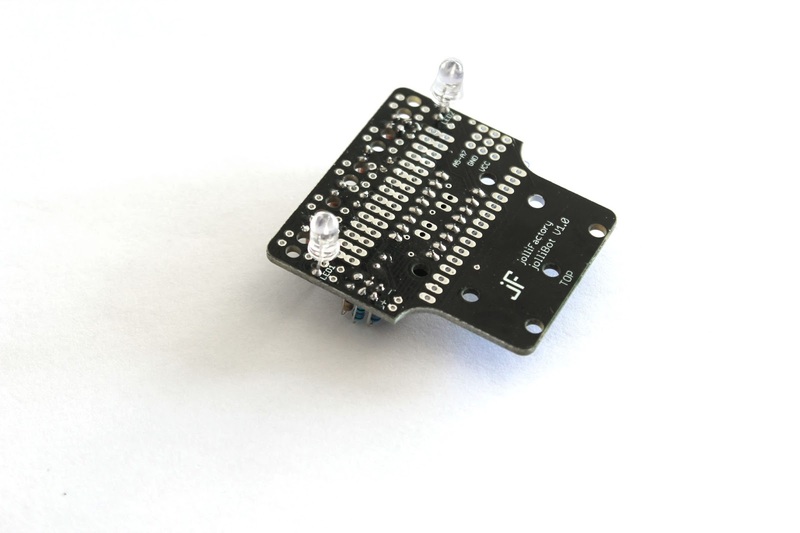 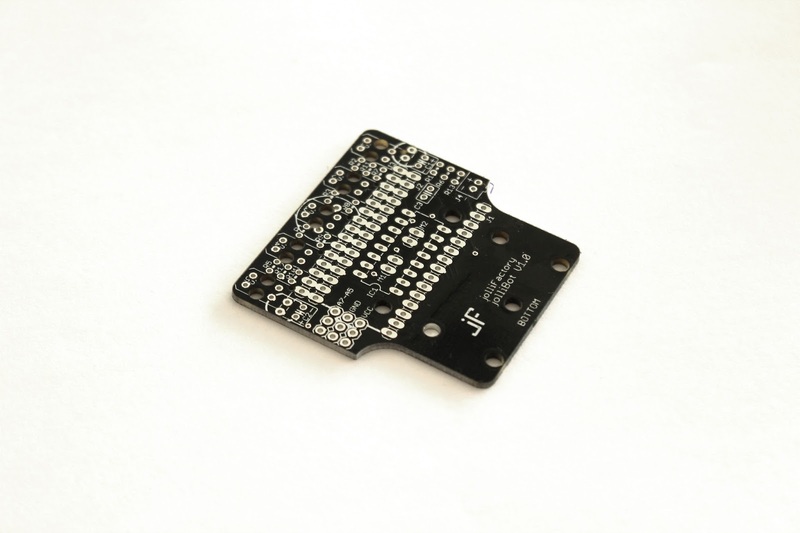 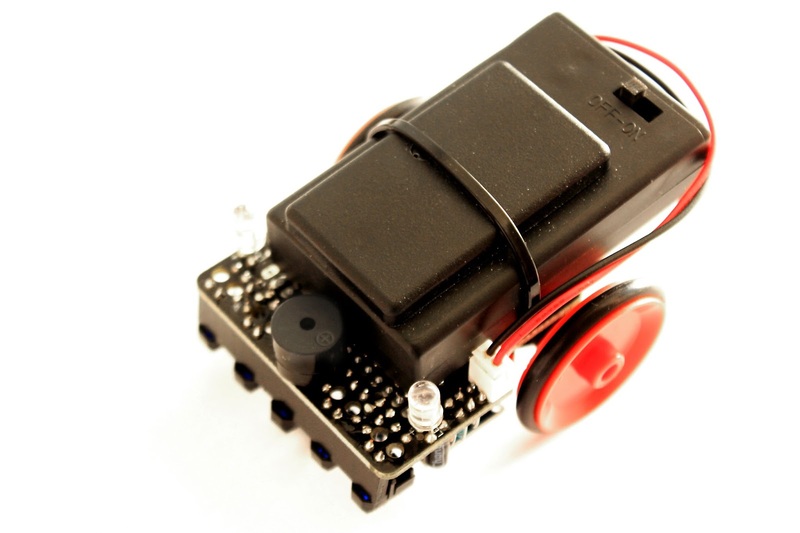 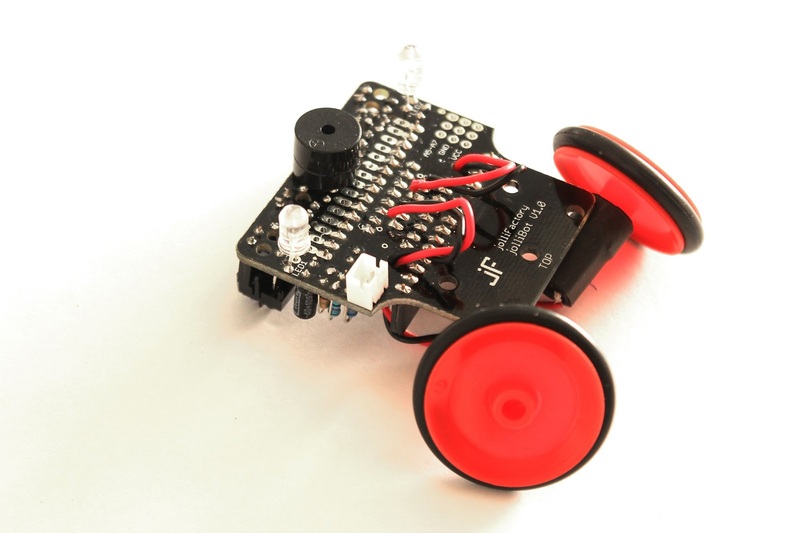 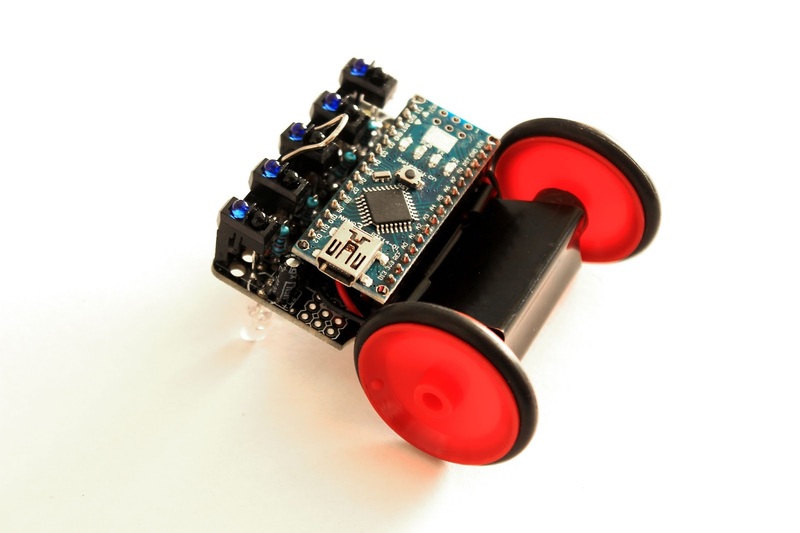 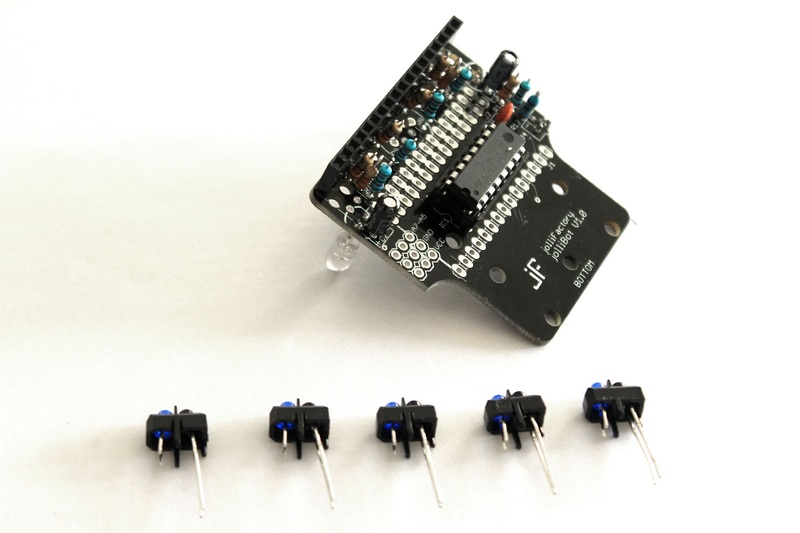 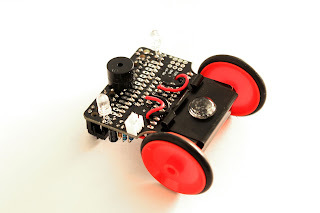 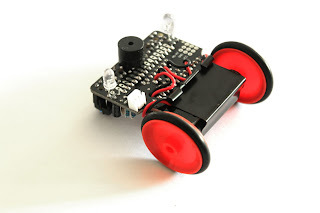 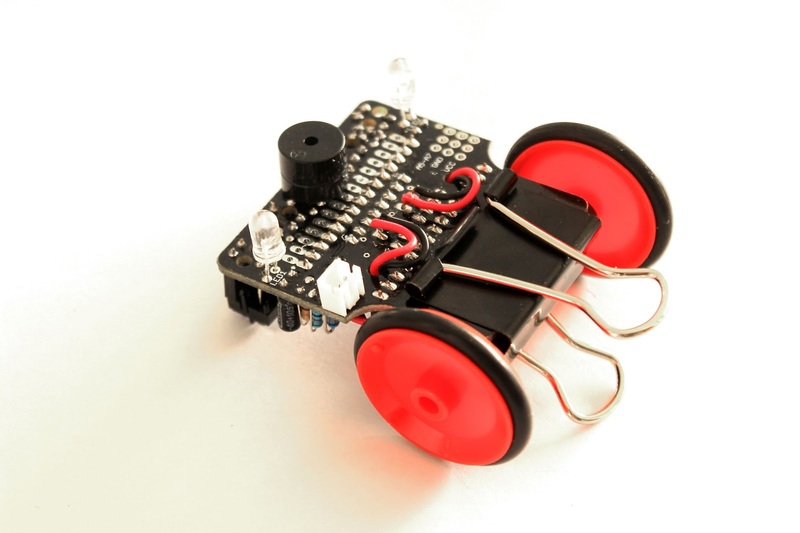 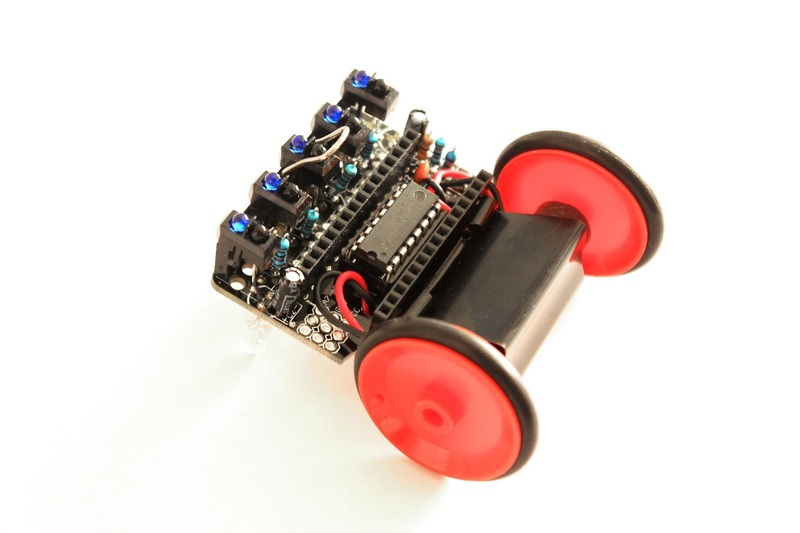 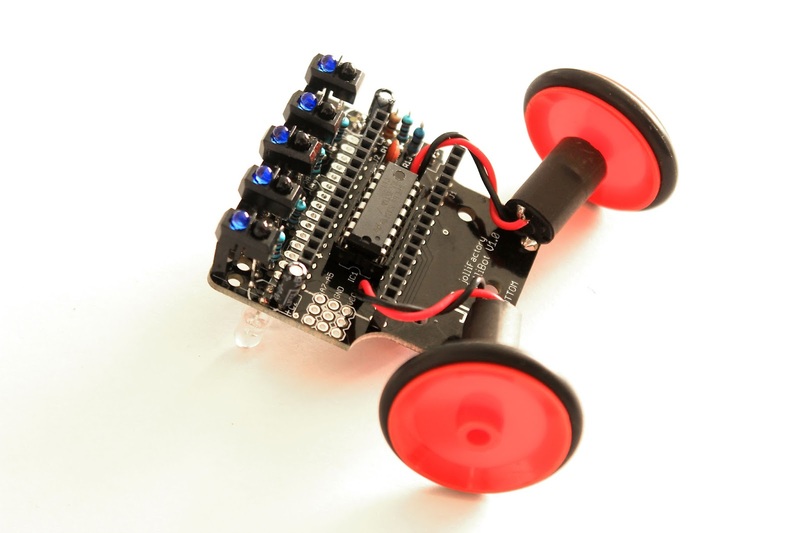 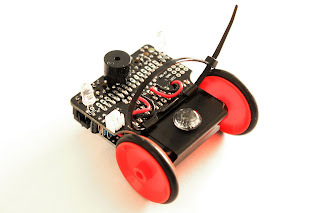 You may purchase this jolliBot - Line Follower DIY Kit from Tindie. 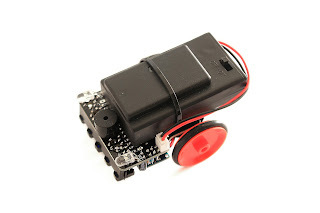 Your proving all information are really very helpful for me keep posting. Most valuable and fantastic blog I really appreciate your work which you have done about the breaking news,many thanks and keep it up. 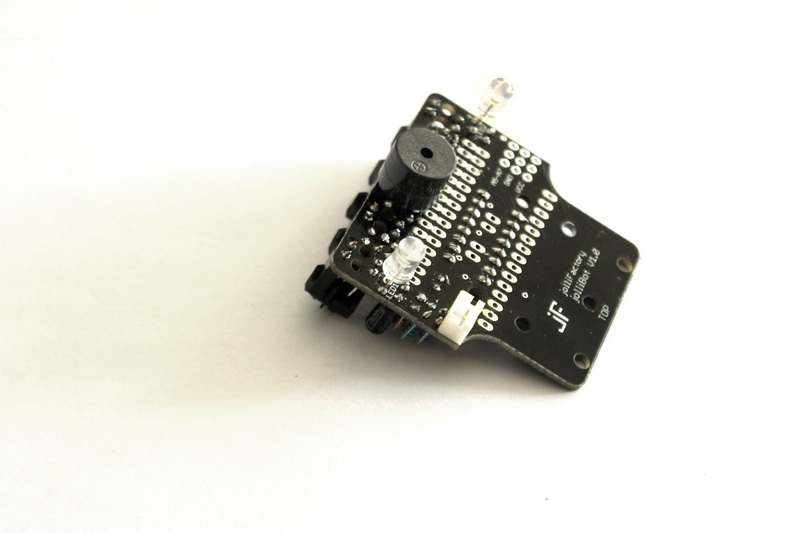 Ex client work and absolutely very nice information about the how to send a press release it's good work.